American singer-songwriter Gia Woods released a new song “Jump The Fence”, her first record in two years. On February 1st, she dropped a new music video for the song, directed by Jasper Soloff. 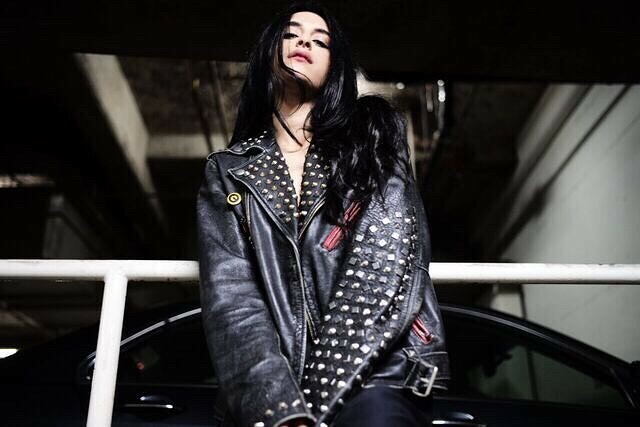 She recently signed to Disruptor Records, the new song is the first single under her label. She said of the song, "Everyone has an opinion on what you should do or what you should say or who you should date... This song is about trusting your intuition and doing what makes you happy. When I recorded this song I immediately felt alive and inspired and this song is about chasing that feeling and ignoring the fear of being judged." She added about the video, "The plexiglass box represents the ways we may be able to see something we want but there's still that separation, whether it be society or expectations, that keeps us from fully going for it. It's that fence we all gotta jump!"